Fleet-footed Black Dragon enforcer. Kabal's sprinting speed is only outpaced by his greed. He was a rookie cop until Kano tempted him to sell out his police department for cash money and a spot in the Black Dragon. 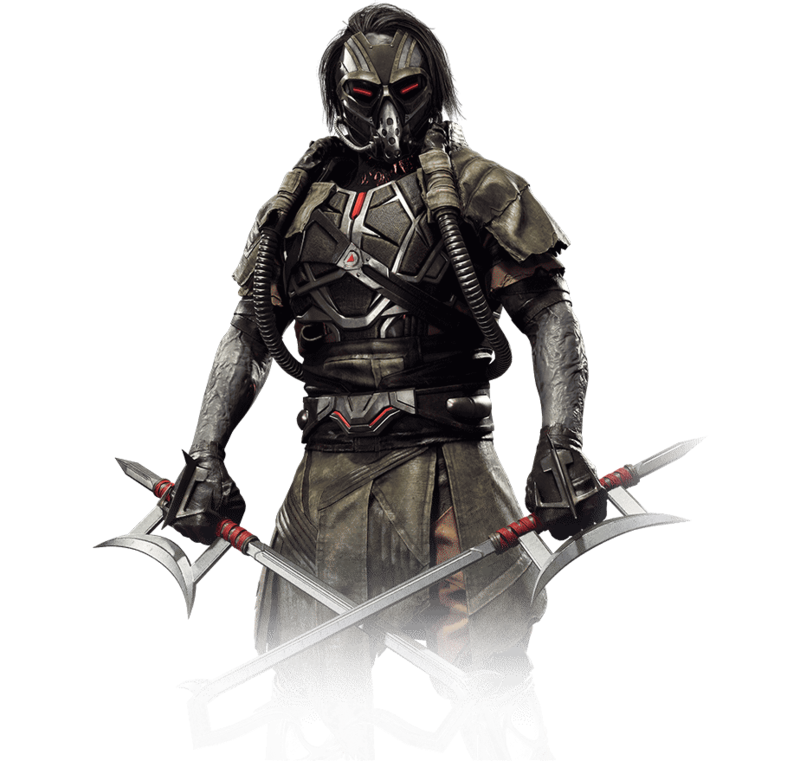 Kabal has run down anyone who's crossed Kano ever since.